We are currently partnering with Access 2 Independence to create unique social opportunities for adults on the autism spectrum. Each month will have something new to offer! These events will be free or reduced price when possible. Please check our calendar to see if there is one scheduled for the month or to subscribe to receive emails to get more information. We also have an online facebook group just for adults on the autism spectrum or who are otherwise neurodivergent. Please contact Jessie Witherell at jessiewitherell@hotmail.com if you or someone you support would like to be added. 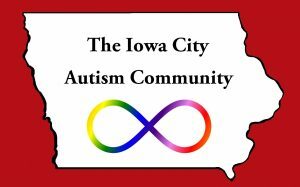 Parents who are on the autism spectrum are welcome to attend our monthly caregiver meetings every third Friday of the month at Zion Lutheran Church in Iowa City at 310 N. Johnson St, lower level in the “Gathering Room”. Parking is located behind the church. No sign up is necessary. While ICAC is not able to provide childcare, children are more than welcome to attend. Our focus is on problem solving, understanding our autistic children, navigating school issues and meeting for informal conversation. Contact Dina Bishara at iowadina@yahoo.com for more information. Wherever you are on the spectrum, whether diagnosed or not, join us for support and community in a space where you can be yourself. This group meets the 2nd and 4th Saturday from 1pm-3pm at Uptown Bills in Iowa City. 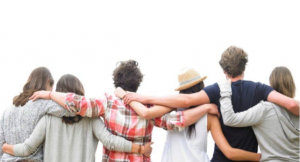 Access 2 Independence hosts monthly structured gatherings for teens and twentysomethings on the autism spectrum. These events regularly occur on the second Saturday of the month. Please see the main calendar for upcoming meet-ups.